For some people, going to the gym and burning calories is a fun activity, while for others, it’s a quite grueling task. We all know the benefits of keeping fitness routine, but sometimes it’s just more difficult to be driven enough due to laziness, boredom whatsoever. If you suffer from workout, it’s time for you to refresh your mind. Listening to upbeat workout songs may help you in your gym time. Follow the rhythm and move along, they’ll help you concentrate, boost your mood and up your confidence, etc. But what is the best way for us to get the list of all the pump up and upbeat songs? Spotify Free is a perfect source of workout music! On one hand, it offers a large music library – tens of thousands of songs of various genres. On the other hand, it’s a totally free service. The only drawback is that Spotify Free is a music streaming service providing users with DRM-protected songs, for which all the songs on the platform can only be enjoyed online and can’t be downloaded for offline listening. In this article, we are going to show you a particular way to break it through. Below we adopt a simple yet powerful tool – TunePat Spotify Converter and guide you to get workout music downloaded from Spotify Free step by step. TunePat Spotify Converter is a user-friendly and professional Spotify downloader (100% clean). With no need to install the Spotify app, it is able to download and convert Spotify songs, albums and playlists as MP3/AAC/WAV/FLAC files to local computer at 10X fast conversion speed with lossless output audio quality while keeping the ID3 tags after conversion. No need to install Spotify app; support 10X faster conversion speed. 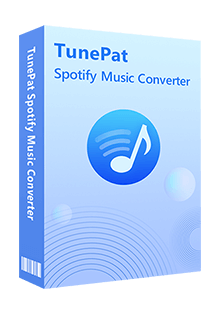 TunePat Spotify Converter requires no need to install any extra apps to get Spotify songs downloaded. Spotify Web Player is embedded inside, for which you'll be asked to sign in with our Spotify account once you launch the program. Launch TunePat Spotify Converter and sign in with your Spotify account. Click the "Settings" button on the bottom right corner. Here you can choose output format (MP3/AAC/WAV/FLAC), output audio quality, customize output path, organize the output files in various ways and more. Search for "Workout Music" in the Spotify Web Player and TunePat will read the playlist data automatically. If you've already got a workout playlist in your Spotify Library, simply open it. Next click the "Add" button on the bottom and select the workout songs that you'd like to convert. Click "Convert" button to start converting the workout songs you chose in Step 2. Once the conversion is done, you can find your workout music downloaded in MP3 format on your local computer by clicking the "History" button on the bottom right corner or directly going to the output folder you customized in previous step. 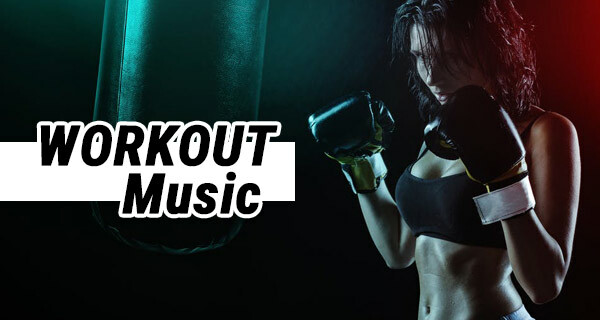 Now you've got the list of the pumped and upbeating workout songs on your computer, you can transfer them to your MP3 player, iPhone or Android devices and more for your exercise!